The South West Slopes Merino Breeders Annual Field Day provides a day full of interest and enjoyment for sheep breeders and visitors alike with a wide range of Merino sheep genetics on show. The Stud displays are under cover of marquees at an iconic venue which offers a combination of excellent facilities and local history. 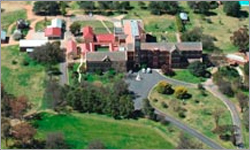 This year the Field Day will be held at St Clements Retreat at Kalangan Road, Galong NSW. The unique SRS® type of Merino sheep has been developed over the last 20 years by the SRS® Group’s Chief Scientist, Dr Jim Watts. The result is a plain-bodied and virtually wrinkle-free Merino that does not require mulesing and has exceptionally high levels of fibre density & length. This leads to increased profitability for producers, more efficient processing and exceptional end product quality. 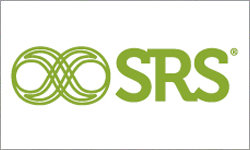 SRS® is simply superior to any other Merino fibre currently available. 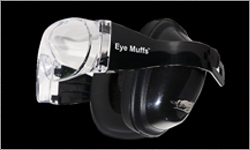 It is naturally comfortable for wearing against the skin and is lustrous and luxurious. Woolgrowers, researchers, consultants, vets and welfare experts have discussed the latest developments and trial results from Australian Wool Innovation's (AWI) flystrike prevention program. Protecting the national flock from flystrike remains a top research priority at AWI. Over the past decade, woolgrowers through their research development and marketing body have invested $47 million in animal health and welfare research, development and extension (RD&E), including more than $27 million on flystrike prevention. The National R&D Technical Update on Breach Flystrike Prevention heard from a variety of speakers from across Australia. This Years 2014 Rams Consist Of 50% Poll And 50% Horned Rams. Yarrawonga is a family owned and managed business. 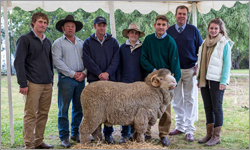 Yarrawonga merino are leaders in increasing on farm profits. Our main objective is to produce more dollars per head and to generate increased farm profits. 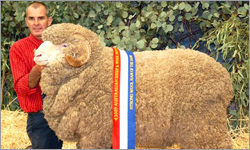 Yarrawonga merinos have the unique ability to increase fleece weights while decreasing microns – very few studs can successfully achieve this. 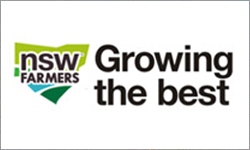 Towalba Merino Stud is located in the Central West of NSW, 8 km North of Peak Hill. Operated by brothers Garry and Warick Kopp the stud is renowned for producing some of the most productive sheep in Australia. Large frames and productive skins growing soft crimpy wool makes this bloodline a must-have for the serious merino breeder. Each year rams are sold at the On Property Auction in September and at most stud stock sales in the Eastern states of Australia. 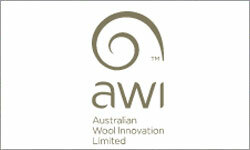 In 2010 Towalba registered their Poll Merino Stud. The first rams available from the Collinsville Sire Imperial 771 will be offered at this years on property Auction in September. 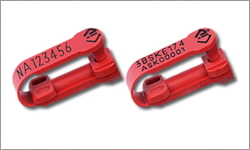 Shearwell SET tags for sheep identification are light, durable and easy to apply one-piece ear tags. The popularity of these tags is unparalleled, with more than 80 million sold in the past five years alone. Visual and electronic tags are identical, with an RFID chip fitting securely into a chamber of the electronic tag. The inner surfaces of the tag are smooth and rounded to avoid pinch points and reduce the risk of infection, and both RFID and visual tags are laser-etched for easy reading throughout the life of the animal. ProWay sheepyard designs and products have been refined over time. Because of ProWay's focus on safety and stock flow ProWay sheepyards are very highly regarded by vets, government departments, livestock carriers, stock contractors and stock agents. It is important to get the sheepyard design right. Details such as the side a gate swings from, angles in bugles, the length of the gates, the yard orientation, corners in yards and the relative size of sheep yards, all influence stock flow. 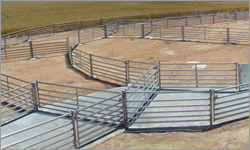 Stock flow determines the sheep yards efficiency and has a direct impact on minimising stress on stock. 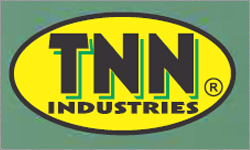 TNN Industries Pty Ltd was established over a decade ago. A product range was developed using mostly imported products. TNN began production to provide better nutrition at each level – from the soil, the plant, the animal and in turn, humanity. TNN always maintained sustainable products and a proven fertility building system would prove to be the most ideal farming approach both in effect and in respect to viability. This approach has proven itself to be correct. TNN has proved that nutrition is the key to successful agriculture in every aspect. NFF 2014 National Congress: Early Bird Registrations Now Open! 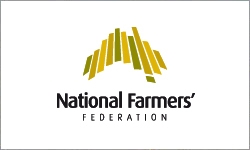 Early bird registrations are now open for Australia’s leading agricultural event, the National Farmers’ Federation (NFF) 2014 National Congress, to be held in Canberra on Monday 20 and Tuesday 21 October 2014. The Congress is one of the industry’s largest gatherings, bringing together over 350 representatives from government, industry and the wider agricultural supply chain to look at agriculture from a grass-roots to global perspective. NFF President Brent Finlay said this year’s theme ‘Producing Our Future’ was timely, given the Federal Government’s commitment to make the industry more globally competitive. NSW Farmers is backing the role of the Rural Financial Counselling Service (RFCS) in assisting farmers through drought and natural disasters. NSW Farmers’ Rural Affairs Committee member Sarah Thompson said a secure future for the service is vital for improving farmers’ understanding of their financial situation and what assistance is available in times of need. She said NSW Farmers strongly rejected claims by the Report of the National Commission of Audit to abolish the counselling service. 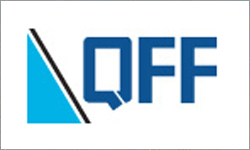 Deputy Premier Jeff Seeney yesterday joined the QFF members’ council to personally outline the detail of the new regulations that will help balance the needs of the State’s agricultural sector against the expansion of the resources industry. The new regulations underpin the Regional Planning Interests (RPI) Act 2013 and specify the detailed criteria and process that will need to be followed for negotiations between farmers and resources companies that have been granted the right to develop on farmers’ properties. There have been many technological advances in broadacre farming over the last decade. Reduced tillage systems have been a key part of this change, however the adoption of these changes for many farmers has not been altogether smooth. 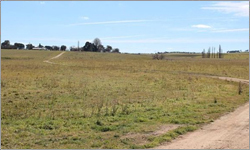 The South Australian No-Till Farmers Association (SANTFA) is a non-profit farmer driven organisation that is led by a committee of volunteers. 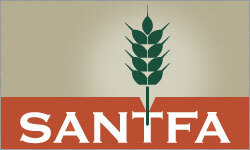 SANTFA has, over its seven years of growth, successfully promoted the benefits of no-till farming systems and conservation farming in general and now has over 1000 financial members across South Australia. Consumers will be able to support local farming when WAFarmers launches its own brand of milk later this year – the first household staple to be available in WA for the direct benefit of local farmers. The landmark initiative will see a portion of proceeds from sales of the milk used to support the farming industry of Western Australia, including through market development. 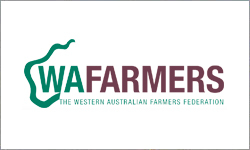 WAFarmers President Dale Park said the initiative would ensure WA farming remained internationally competitive and retained its reputable high standard. Farmers are rallying to roll out a national campaign, to get a “true” Free Trade Agreement (FTA) with the most populous nation on earth - China - across the line. 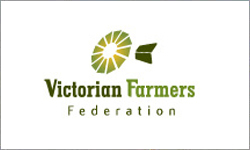 “A decent Free Trade Agreement with China will set the foundations for Australian agriculture’s growth resilience for decades to come,” Victorian Farmers Federation president Peter Tuohey said. “It’s all about giving the Chinese better access to Australia’s high quality dairy, beef, sheep meat and horticultural produce. “Negotiations on this FTA have been going on since 2005, so it’s crucial that after almost a decade we get the best possible deal for agriculture. Tasmanian farmers today gave the thumbs up to allocations to agriculture in Treasurer Peter Gutwein's first Budget brought down today. "We will give credit where it is due. 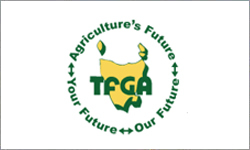 The government has delivered on their promises; and those promises largely coincided with what we have been seeking, and seeking in some cases for many years," Tasmanian Farmers and Graziers Association (TFGA) chief executive Jan Davis said today. She said farmers welcomed Budget allocations to skills training and maximising opportunities from infrastructure improvements such as irrigation.